"The arrest of #JulianAssange is meant to send a message to all Americans and journalists: be quiet, behave, toe the line. Or you will pay the price," Gabbard said on Twitter. "The purpose of arresting #JulianAssange is to send a message to the people, especially journalists, to be quiet and don’t get out of line. If we, the people, allow the government to control us through fear, we are no longer free, we are no longer America," Gabbard said in a follow-up tweet, sharing video of her appearance on CNN Thursday afternoon. 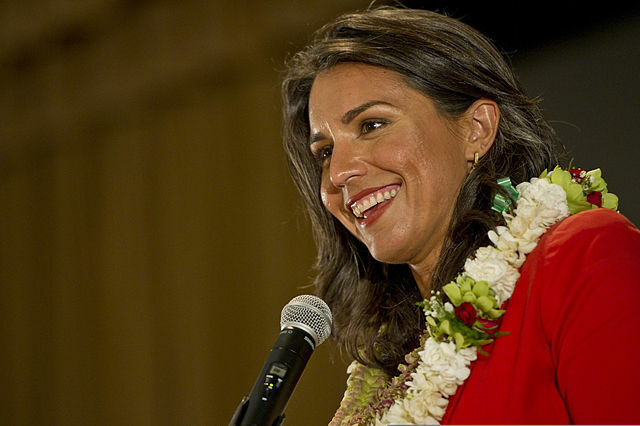 On Tuesday, Gabbard released a video saying, "Netenyahu and Saudi Arabia want to drag the United States into war against Iran and Trump is submitting to their wishes."